From Left: Angela Dunn, Sarah Severo, Kara Sullinger, Makayla Tuck, Alana Carrion, Addysen Kerr, Maddie Markovich, Shannon Minney. Interested in Playing for the Team? Complete an LCCC Athletics Inquiry Form. November 12, 2018 – The Lorain County Community College Volleyball Team traveled to Rochester, MN for the NJCAA Division III National Championships last weekend and came away 5th in the nation. The Commodores’ overall season record was 26-12, with a stellar post-season record of 9-3 – their only losses being to the National Champion twice and to the Runner-Up at Nationals. The #6th seeded LCCC Commodores began the National Championship tournament on Thursday, Nov. 8, with a win against #11 Northhampton CC (PA), winning 3-0 (25-11, 24-14, 25-13). LCCC played error free volleyball to start the weekend and continued that play throughout the weekend. Later Thursday, LCCC played their second match of the tournament against Eastfield College (TX), the defending National Champions. Despite falling 3-0 (25-17, 25-14, 25-21) to Eastfield, LCCC played tough with some long rallies in the match. In the end, LCCC played well on defense but couldn’t stop their powerful offense. On Friday, the team came back to defeat #7 Jamestown (NY) in 3 sets (25-23, 25-17, 25-16). After losing the lead in set one to go down 21-23, LCCC came back to tie it up at 23 before finishing the match strong. LCCC finished out the tournament on Saturday with a victory over #5 Rock Valley (IL) in dominating fashion (25-11, 26-24, 25-15). Rock Valley struggled to handle the jump serve of Maddie Markovich (Sheffield Village/Christian Community School) to start the match and the Commodores forged ahead to a 9-0 lead in the first set. 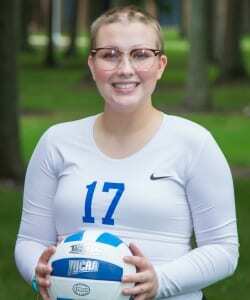 The match was controlled by Alana Carrion’s (Lorain/Amherst Steele) 20 kills; she hit an outstanding .425 for the match. For the tournament, Carrion hit 0.375 and averaged 4.25 kills/set. Other stat leaders for LCCC included Angela Dunn (Fairview Park/Fairview) who passed for a 2.36 rating and averaged 6.75 digs/set, and Kara Sullinger (North Ridgeville) who averaged 8.25 assists/set, 4.17 digs/set, and 1.33 kills/set. Sullinger was named to the All-Tournament Team for her play. Congratulations to the LCCC volleyball team as they advance to the NJCAA Division III National Championship November 8-10 in Minnesota. The Commodores finished 2nd at the district tournament in Pennsylvania to qualify. October 22, 2018 — The Lorain County Community College volleyball team won last weekend’s match at Hocking College on Friday night, October 19, before losing at second-ranked Columbus State CC on Saturday morning, October 20. The Lady Commodores dominated Hocking College in straight sets, 25-11, 25-8, 25-6. Freshman hitter Addysen Kerr (North Ridgeville/North Ridgeville) recorded nine kill shots and freshman hitter Maddie Markovich (Sheffield Village/Christian Community) was right behind with eight kill shots. Freshman setter Kara Sullinger (North Ridgeville/North Ridgeville) paced the team with 19 assists, a team-high six service aces and 11 digs. Sophomore defensive specialist Angela Dunn (Fairview Park/Fairview) topped the defensive effort with 12 digs. Against Columbus State, the #2-ranked team in NJCAA D-III, LCCC captured the third set but lost 15-25, 20-25, 26-24, 22-25. Sophomore middle hitter Alana Carrion (Lorain/Amherst Steele) came up big with 19 kill shots. Kerr pitched in with a dozen more kills. Dunn once against led the defensive effort with a whopping 28 digs. Sophomore defensive specialist Shannon Minney (Amherst/Steele) was also outstanding with 25 digs. LCCC owns a 17-9 overall record, 8-6 in the OCCAC. The team completes a very successful regular season this Wednesday, Oct. 24, at rival Cuyahoga CC at 6:00p.m. The Lady Commodores will then face Columbus State again on Saturday, October 27, in the Region XII Tournament at Owens CC at 2 p.m. for a chance to play Owens for the Region XII Championship at 4 p.m.
October 14, 2018 — The Lorain County Community College volleyball team won a pair of home matches this weekend in straight sets over Sinclair CC on Friday, Oct. 12, and Clark State CC on Saturday, Oct. 13. The Lady Commodores swept Sinclair, 25-20, 25-18 and 25-16. 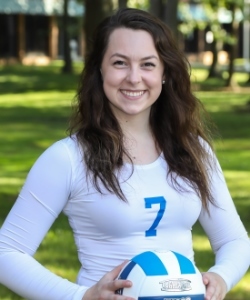 Freshman outside hitter Maddie Markovich (Sheffield Village/Christian Community) led the offense with nine kill shots, while freshmen outside hitters Sarah Severo (Columbia Station/Columbia) and Addysen Kerr (North Ridgeville/North Ridgeville) pounded eight and seven kills, respectively. Sophomore defensive specialist Angela Dunn (Fairview Park/Fairview) contributed 16 digs and Severo added 11 more. Sophomore middle hitter Alana Carrion (Lorain/Amherst Steele) led the front line with three block kills. LCCC earned the weekend’s second straight-set sweep over Clark State, 25-23, 25-14 and 25-16. Kerr again led the attack with seven kills, followed closely by Severo and Carrion with six each. Carrion also added three blocked shots. The defense was strong with three players in double-digit digs. Dunn turned in a team-high 12 digs, while freshman setter Kara Sullinger (North Ridgeville/North Ridgeville) and Markovich each dug up 10 hits. LCCC has improved its record to 16-8. The Lady Commodores stand at 7-5 in the OCCAC and in sole possession of third place, behind only Owens CC and Columbus State CC, the #3 and #2-ranked teams in the nation, respectively, in NJCAA D-III. 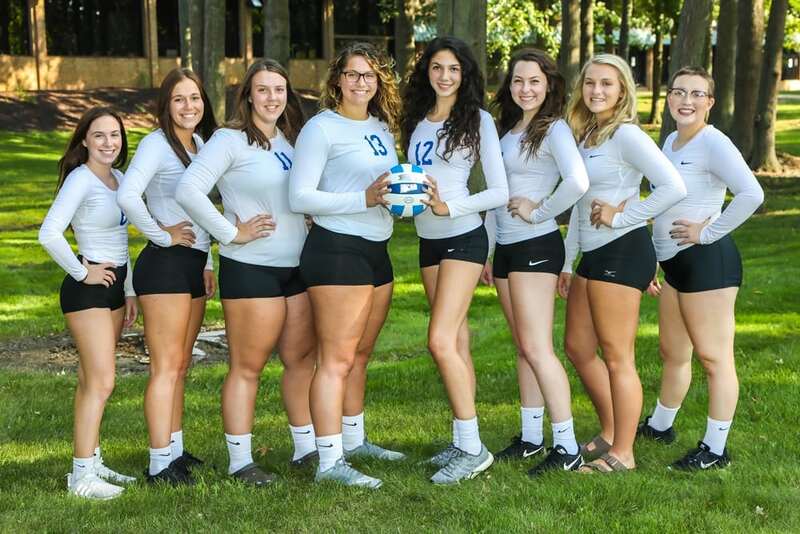 LCCC will host Lakeland CC this Wed., Oct. 17 at 6 p.m. on Sophomore Night, for its final home game of the season. Oct. 6, 2018 — The Lorain County Community College volleyball squad lost a four-set match at Sinclair Community College last night, October 5. Scores were 19-25, 28-26, 18-25, 18-25. 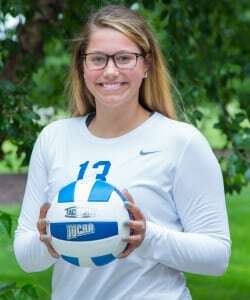 The LCCC offense was led by sophomore middle hitter Alana Carrion (Lorain/Amherst Steele) with nine kill shots and freshman outside hitter Maddie Markovich (Sheffield Village/Christian Community) with eight kills. 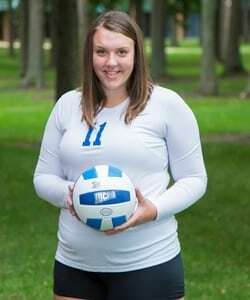 The offense was aided by 24 assists and four service aces from freshman setter Kara Sullinger (North Ridgeville/North Ridgeville). Sophomore defensive specialists Angela Dunn (Fairview Park/Fairview) and Shannon Minney (Amherst/Amherst Steele) each claimed 19 digs. LCCC will take its 12-8 overall record (4-5 in the OCCAC) to Edison State CC today for another OCCAC match. Sinclair improves to 17-10 overall and 7-2 in the conference. October 4, 2018 — The Lorain County Community College volleyball team won its first set since 2014 against Owens Community College, but the Lady Commodores lost the home-court match in four sets, 20-25, 17-25, 25-22, 18-25, on Wednesday evening, Oct. 3. Freshman hitter Addysen Kerr (North Ridgeville/North Ridgeville) continued her offensive prowess with a team-high 12 kill shots. Sophomore middle hitter Alana Carrion (Lorain/Amherst Steele) contributed eight more kills and paced the front line with two solo blocks and six assist blocks. Freshman Sarah Severo (Columbia Station/Columbia) paced the back row defense with 20 digs while sophomore defensive specialist Angela Dunn (Fairview Park/Fairview) added 18 digs. LCCC stands 12-7 overall and 4-4 in the Ohio Community College Athletic Conference (OCCAC). Owens — last year’s NJCAA D-II national runner-up, now playing in D-III and ranked #2 — is an impressive 24-4 overall and 9-0 atop the OCCAC. Sept. 22, 2018 — Trailing two games to one last night at Clark State, the Lady Commodores righted the ship and captured the five-set win, 25-17, 20-25, 15-25, 25-20, 15-11. 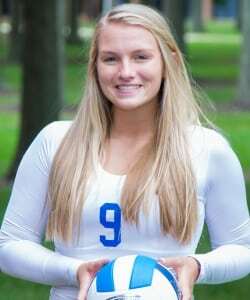 Freshman hitter Addysen Kerr (North Ridgeville/North Ridgeville) led the team with an outstanding hitting and blocking performance. Kerr amassed 17 kills, four solo block kills and an outstanding hitting efficiency of .480. 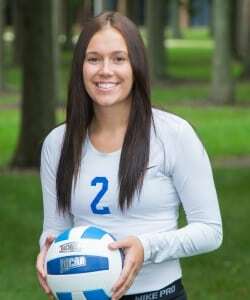 Sophomore defensive specialist Shannon Minney (Amherst/Amherst Steele) passed for a 2.33 rating, and added team-highs of 17 digs and four service aces. The victory marked the ninth win in LCCC’s last 11 matches. The Lady Commodores stand 11-6 overall and 4-3 in the rugged OCCAC. Clark State owns a 2-9 mark overall and 1-4 in the OCCAC. Sept. 15, 2018 — The Lorain County Community College volleyball team raced past an over-matched Hocking College squad in straight sets today on the victors’ home court, 25-4, 25-6, 25-8. Sophomore middle hitter Makayla Tuck (Lorain/Brookside) and freshman setter/hitter Kara Sullinger (North Ridgeville/North Ridgeville) led the victory. Tuck notched a match-high 10 kill shots while Sullinger pounded eight more. Sullinger led all servers with five aces while Tuck served three aces. 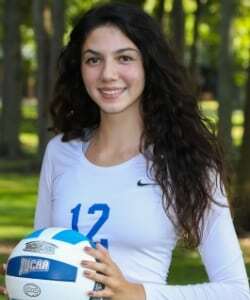 Freshman hitter Maddie Markovich (Sheffield Village/Christian Community) was the assist leader with 16. LCCC improved to 10-6 for the season and 3-3 in the OCCAC. After winning only two of the first six matches to start this season, the team has won eight of its last 10 matches. Hocking College is win-less in 11 matches to date. The Lady Commodores get some much-needed rest with only two matches scheduled for the remainder of September. LCCC will visit Clark State for an OCCAC match on Friday, Sept. 21 at 6 p.m. before returning home to host Walsh JV on Wednesday, Sept. 26 at 6 p.m. in Elyria. Sept. 14, 2018 — The Lorain County Community College volleyball team gave Columbus State — ranked 3rd in D-III of the NJCAA this week — all it could handle before losing in five sets tonight in Elyria, 12-25, 21-25, 25-17, 25-21, 10-15. After dropping the first two sets, LCCC employed good team defense and limited its’ errors to win sets #3 and #4, forcing the decisive fifth set. The Lady Commodores’ offensive attack was ignited by three freshmen. Setter/hitter Kara Sullinger (North Ridgeville/North Ridgeville) and Sarah Severo (Columbia Station/Columbia) notched 12 kill shots apiece and Addysen Kerr (North Ridgeville/North Ridgeville) produced 11 more. Sullinger also amassed 26 assists to spark the attack. LCCC accumulated 99 digs in the match, which was indicative of the strong team defense displayed throughout the five sets. Severo led the way with 22 digs while sophomore defensive specialist Shannon Minney (Amherst/Amherst Steele) and freshman hitter Maddie Markovich (Sheffield Village/Christian Community) each garnered 20 digs. Sophomore defensive specialist Angela Dunn (Fairview Park/Fairview) contributed another 19 digs. Kerr and sophomore Makayla Tuck (Lorain/Brookside) each blocked four Columbus State kill shots. Markovich served up three aces in the match. LCCC is now 9-6 overall and 2-3 in the OCCAC while Columbus State owns a 9-1 overall record and a 5-0 mark atop the OCCAC. Sept. 12, 2018 — The Lorain County Community College volleyball team earned a three-set OCCAC sweep at Lakeland CC tonight, 25-21, 25-13, 25-14, to claim its fifth victory in the last six matches. LCCC was paced on offense by freshman hitter Maddie Markovich (Sheffield Village/Christian Community) with 13 kill shots and freshman hitter Sarah Severo (Columbia Station/Columbia) with 10 kills. Freshman setter Kara Sullinger (North Ridgeville/North Ridgeville) assisted on 27 points and added 18 digs to top the defense. Sophomore defensive specialist Angela Dunn (Fairview Park/Fairview) contributed 16 digs. Freshman middle hitter Addysen Kerr (North Ridgeville/North Ridgeville) led the team with three blocks. Markovich and sophomore Shannon Minney (Amherst/Amherst Steele) each served up three aces. LCCC improves to 9-5 overall and 2-2 in the OCCAC while Lakeland CC falls to 2-11, 1-4. The Lady Commodores are home this weekend to host #3-ranked Columbus State (NJCAA D-III) this Friday, Sept. 14, at 6 p.m. and Hocking College on Sat., Sept. 15, at 11 a.m.